To Execute or Not to Execute . . .
After undertaking the project of writing Folsom’s 93, I know more about the death penalty than I ever imagined I would. It’s the hottest topic that no one is discussing. It sits in the shadows of health care reform, our wars in the Middle East, and Shwarzenegger’s love child. However, states across the country are making headlines by introducing bills to abolish the death penalty and/or make changes to their current laws. What’s your state up to? As you can see, the US is still going strong when it comes to executions, but we’ve actually slowed down a bit from 300 in 1998 to 106 in 2009. 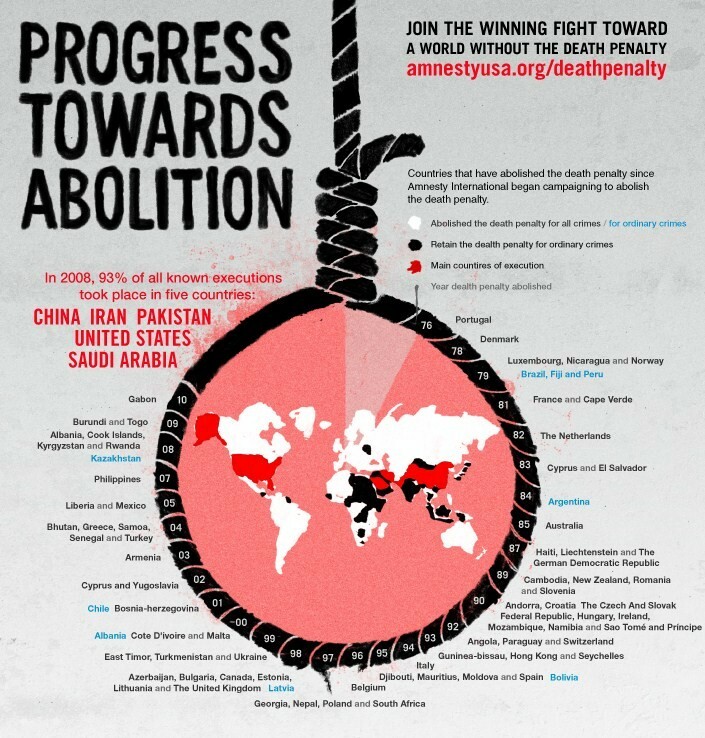 According to The Death Penalty Information Center, by 2009, 129 countries had abolished the death penalty. Today in California, there are 704 inmates on death row. According to the DPIC, 63% of 800 Californians polled, favor commutation, thus saving the state $1 billion over the next 5 years. Citizens liked the idea of the money going toward education and law enforcement, however, this controversial issue is far from black and white. It is barbaric and violates the “cruel and unusual” clause in the Bill of Rights. We as a society have to move away from the “eye for an eye” revenge mentality if civilization is to advance. The prisoner’s family must suffer from seeing their loved one put to death by the state, as well as going through the emotionally-draining appeals process. It is useless in that it doesn’t bring the victim back to life. The death penalty gives closure to the victim’s families who have suffered so much. DNA testing and other methods of modern crime scene science can now effectively eliminate almost all uncertainty as to a person’s guilt or innocence. SO WHAT DO YOU THINK? If it came to the voters in your state on whether or not to abolish the death penalty, could you make a definitive decision? 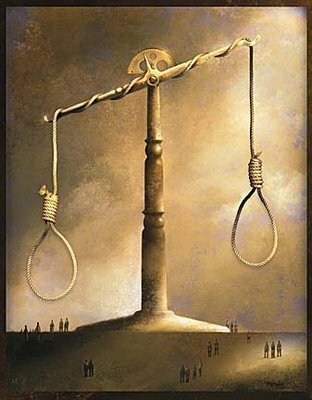 Categories: Death Penalty | Tags: abolishing death penalty, Amnesty International, death penalty | Permalink.